Millions of cell phones get replaced every single year by the newest and latest technologies. As small as these devices are it is easy to think that it would be okay to dispose of these electronics in the trash bin but that is the last place where you should dispose of them. Cell phones contain just as much information as our computers and should be recycled by a trusted electronics recycler. 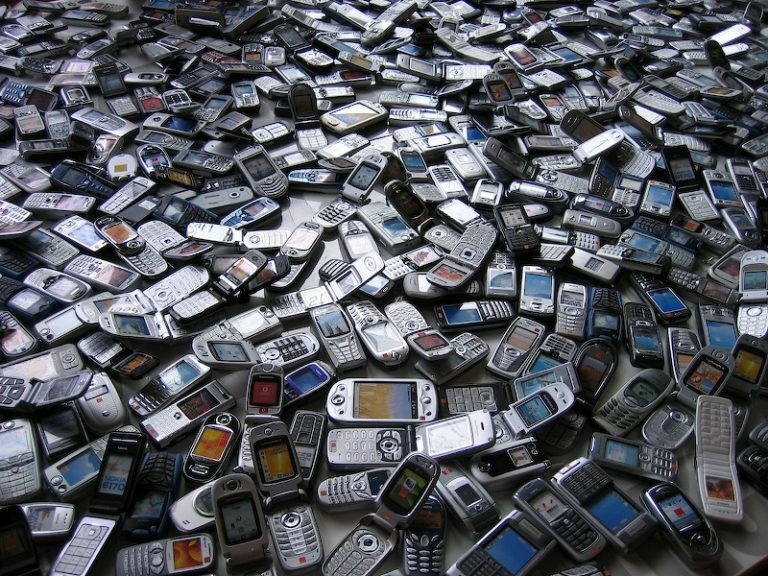 Why should you Recycle your Cellular Phones and Radios? It is important to recycle your cell phone properly because of the amount of precious information that is contained in the little device. Phone numbers, credit card numbers, personal information and much more can be breached if your cell phone is disposed of incorrectly. Electronic recyclers, such as California Electronics Recycler in Santa Ana, have the right equipment to make sure your precious data is destroyed and never exposed. We recycle phones from all brands including Apple, Windows, Android, Blackberry, Samsung, and more. Radios should be recycled for their materials. Radios contain materials such copper, aluminum, plastic, and other materials that should be recycled for reuse in new devices and products. We recycle all types of radios for various purposes, whether they are shortwave, satellite, Ham, or Walkie Talkies, we will recycle them. If you have unwanted cell phones or radios lying around the office or your home we urge you to recycle them at an Electronics Recycling center. We offer radio and cell phone recycling to Southern California. Call today for more information at (800) 282-3927, you may be eligible for a free pickup of your radios or cell phones.